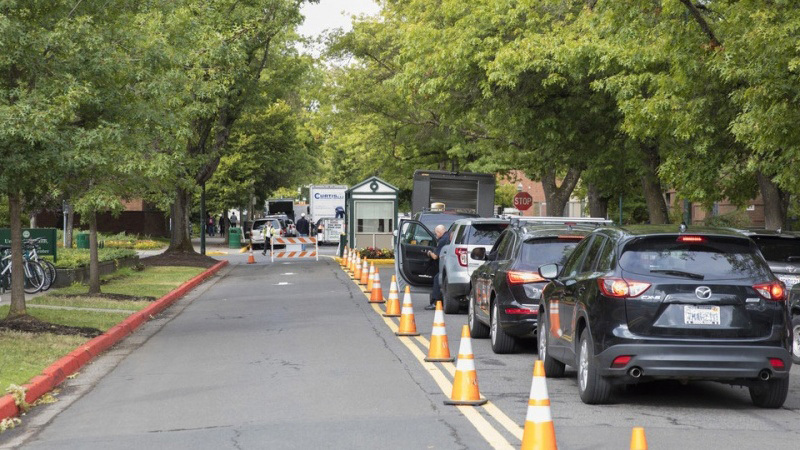 It's June at the University of Oregon, and as usual that means a lot of visitors and challenges to campus travel and parking. This year, the NCAA Track and Field Championships are at Hayward Field from June 6-9, followed by residence hall move-out June 11-15 and finally commencement June 18. UO faculty and staff should be aware of increased vehicle and pedestrian traffic around the residence halls and Hayward Field. Everyone in the university community is encouraged to travel by foot, bike or bus whenever possible. Drivers should avoid East 13th and East 15th avenues and Moss Street, as well as parking lots located near residence halls. See a map of traffic changes during the week. June 13-15: Bike lanes on Agate Street between East 13th and East 15th avenues will be closed. June 13-15: East 15th Avenue will be one way westbound between Agate and University streets. June 13-15: East 13th Avenue will be one way westbound between Agate and University streets. June 13-15: Moss Street will be one way southbound between East 15th and East 17th avenues. June 18: The annual commencement march will go from the closed portion of East 13th Avenue westbound to Matthew Knight Arena, with rolling street closures between 8:15 and 9 a.m. The construction of the Phil and Penny Knight Campus for Accelerating Scientific Impact, on the north side of Franklin Boulevard west of Riverfront Parkway, may affect travel at certain times. Details are available on the project website. Also, starting around June 19, East 15th Avenue will be closed between Agate Street and the east end of the Student Recreation Center, as the renovation of Hayward Field begins. Emergency vehicles will still be able to access East 15th Avenue. Employees and visitors alike should be cautious and plan ahead for the busy roads.